This is a small yet powerful table lamp that allows for close-in work, making it ideal for jewelry-making, needlework, and intricate crafts. The 3½" diameter lens magnifies 1.75X, with an inset lens that magnifies 4X. 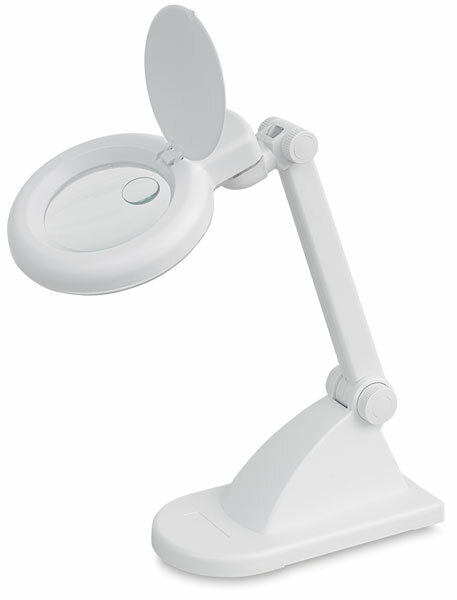 It stands 13¾" high, with a hinged arm that adjusts easily, and includes a 12-watt Daylight tube and lens cover.